I love to cook, but more importantly, I love to cook for people. It is so much better to prepare a meal when you are sitting down with friends to enjoy it. That said, when we were registering for wedding gifts, the dinnerware and entertaining pieces were high on my list. 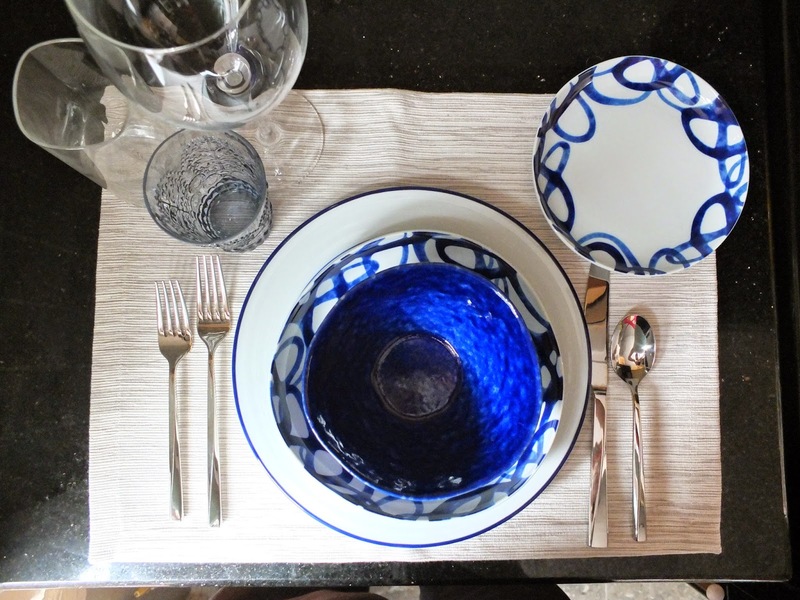 The dinnerware we have been using is a hodge podge collection of things from apartments past and it was nice to work together to select something we both like and to get a full cohesive set. 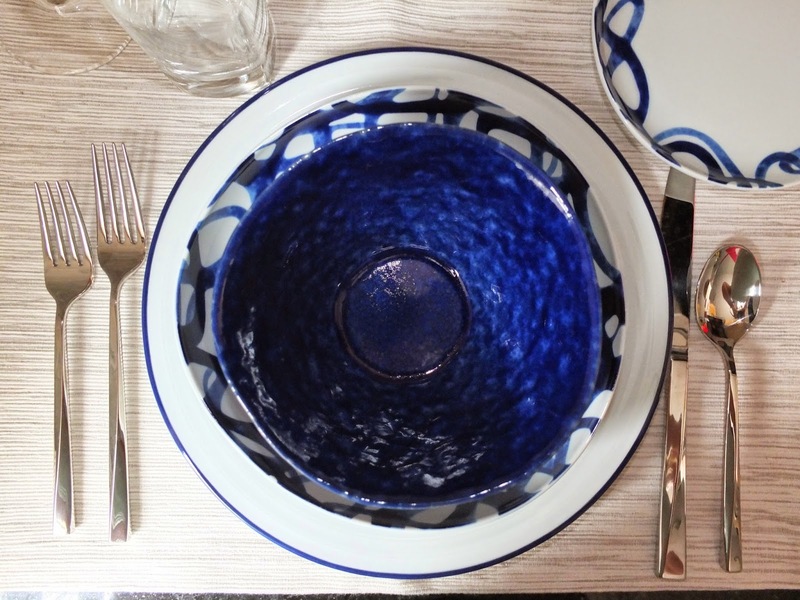 One thing that I do like to do with my dinnerware is pick a scheme. What do I mean pick a scheme? Well, I don’t like to just go buy a set that the store has decided works together, but rather pick pieces from open stock that all work together, but stand alone very nicely as well. One of the collections we immediately fell in love with was the Como Swirl. I felt it was too busy to use it for everything so we went with a basic dinner plate with a blue rim to pull the blue back in, and a solid baltic blue bowl. The glassware is a combination as well. 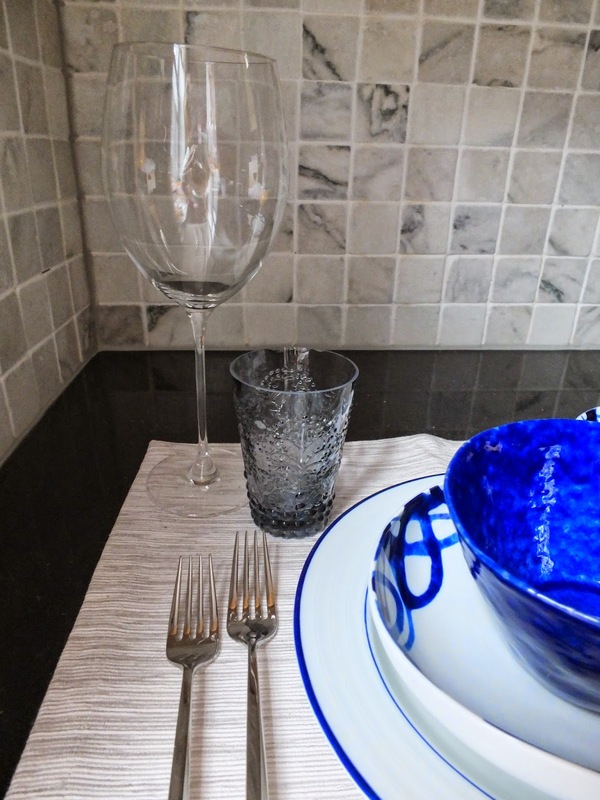 I like a good-sized wine glass that can be used for either red or white, so we selected the Lenox Tuscany Basics. For our everyday glasses we went with the square Strauss Glasses from C&B, and for a touch of fun and a nod back to the blues, we added the Alegre Azul Glass. Lastly, the flatware. I wanted something with some substance to it. It is a pet peeve of mine when you pick up your flatware to eat and it is seemingly weightless. We selected ours based on style and how it felt in the hand, and ended up going with the Twist flatware. It lends to the square shape of our glassware and after using it for about a month or so now, I love it! The way all of these pieces come together makes me very happy. 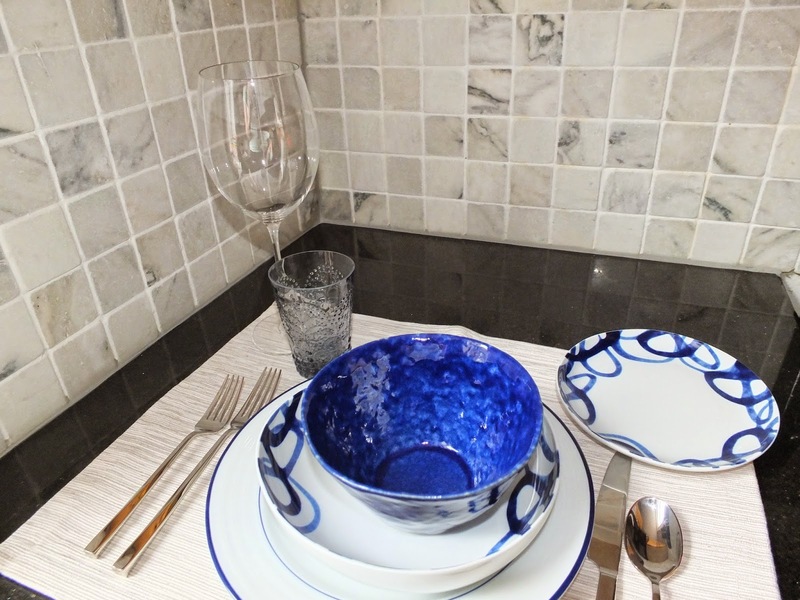 They are perfect for hosting a few friends for dinner or for just the two of us. Now I just need the perfect dining table for our little eat-in space!